Uncategorized | Where's Me Drink? 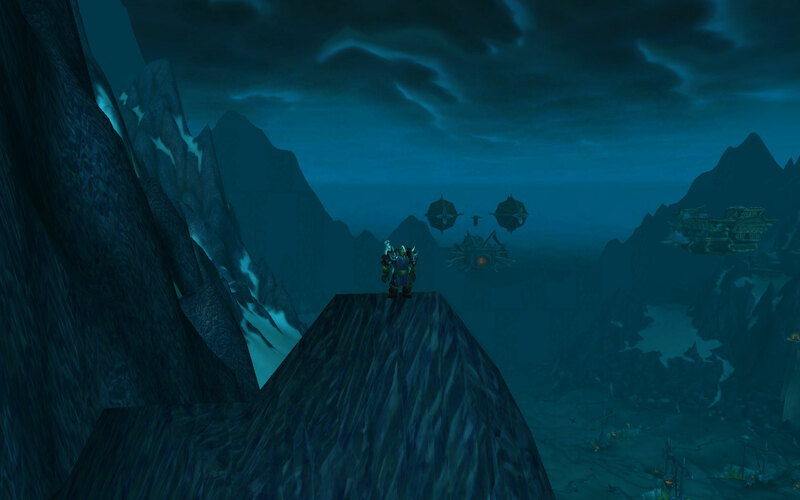 Patch 4.0.1 is out for World of Warcraft and it is…perplexing? I’m not going to lie folks, this patch has me flustered. I’ve played MMORPGs for twelve years, and this is the first time a patch or expansion has left me thinking…what the heck am I supposed to do now? Part of the problem is a lack of addons. That’s not truly Blizzard’s fault, it’s mine. However, if the default UI/game could be customized to the way I like it, I wouldn’t need those addons. It’s not that I can’t perform without grid and bartender, but when I’ve played the game with them for over a year, it’s disconcerting when they disappear. Another issue I’m having is just the complete re-work of some of the ways classes work. My DK is a mystery to me at this point. I’ll adapt sure, but it’s a bit daunting to log onto a character when I know I have to relearn how he works. Interestingly enough, a couple of my biggest issues stem from things that I’ve only recently truly gotten into again. PVP. Prior to patch 4.0.1 I was totally digging PVP. I would go into the level 19 bracket of Warsong Gulch and have a great time on my baby Frost Mage. Now…ugh…not so much. Damage is out of control. If I don’t see a rogue before he opens up on me, I die. I was one-shot by a rogue the other day. Let’s look at that again and measure the fun factor. Step 1: I am standing there. Call me crazy, but that doesn’t sound like fun. I’m not scrub in greys either, kids. As you can see, I’m not exactly poorly geared. I have 60 Stamina on my gear. That’s 600 HP just from the Stamina on my gear. I’m also rocking 100 Health on my chest. 700 Health before you even factor in my base health. I was one-shot. That’s a problem folks, I don’t care what side you fall on, that’s a major issue that needs to be addressed. If I got one-shot, someone who really is leveling through BGs (instead of just pvping for the fun of it like me) stands absolutely zero chance of lasting more than .5 seconds. I’d like to see a damage reduction across the board. They addressed max-level damage by buffing resilience, but how much resilience is there really in the low level BGs? Not much. I suppose I could get the BoA trinket for the Stamina on that. That may be my only option if they don’t fix this situation soon. Actually, I do have another option. Make a rogue so I can one-shot people from stealth. Sounds fun, amirite? Oh well, what are your thoughts on the patch? I should have done this a couple days ago, but I got distracted. I am a Christian. I believe that Good Friday represents the day that Christ died on the cross for my sins. Easter Sunday represents the day that he rose from the dead, defeating death, sin and the devil to secure my spot in Heaven. Now I want to share a few videos that illustrate my feelings and beliefs. I don’t want to say too much, but know that they are Christian videos. The first represents what happens when you die without accepting Jesus, it’s too late to apologize. The second shows deep love for God, even in the face of opposition from friends and peers. The last video shows a girl’s struggle with sin and how Jesus fights for her. BlizzCon happened this weekend and a ton of information is flying around. I’ll be spending some time today getting up to date, and then I’ll be back with a post with my thoughts. I currently have 27 wow.com articles to read to get even remotely caught up. That doesn’t include my other blogs & forums I read. Here’s the thing about wow.com, they have a LOT of opinion and a lot of it is wrong on their blog. However, that’s okay, it’s a blog. I will say this though, they definitely get the information out there when BlizzCon is going on. With that much information, getting a post out today could be a stretch. I’m going to try though! My plan is to break all of the information into five juicy bits and have five nice posts this week. Wish me luck. This is what I get for not staying in the loop on weekends. I’ve been seeing people getting to my little corner of the blogoverse (blogosphere is so cliche) by searching for information on how the new 5-man Heroic Instance Trial of the Champion”s 2-handed axe Edge of Ruin stacks up to Ironsoul, the 2-handed mace out of Ulduar. The short version: Edge or Ruin is WAY better for Arms, but slightly better for Fury. However, for those who like stats and facts, I’ll throw those down as well. 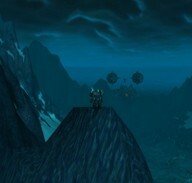 Edge of Ruin (iLevel 213) These may not match what is on wowhead. According to commenters on wowhead, Edge’s stats are bugged and these are the correct stats. There you have the basic stats. So how do the two compare? The following numbers are in a buffed environment. The top-end damage & dps are a wash…no winner. Edge of Ruin gains 16 STR over Ironsoul, for a total of 32 Attack Power. Ironsoul gains 7 Crit and 8 Arpen over Edge of Ruin. You could have looked all that up yourself though. You want to know which one is better! I have to give the edge to…the Edge, by a large margin. The reason is that Axe Spec is just better than Mace Spec. With Axe Spec & Edge of Ruin, according to Landsoul’s spreadsheet over at EJ, I’ll do 127 more DPS. That’s a lot. Axe Spec is just plain nasty. For the Fury warriors out there, the difference is much less noticable. Edge of Ruin edges ironsoul by about 5 dps. So there you have it. Screw Flame Leviathan, go get the Edge! My previous statements on the stats of Edge of Ruin were based on what I was seeing on the comments of wowhead. As it turns out, these statements WERE correct, I just wanted to show proof. http://forums.worldofwarcraft.com/thread.html?topicId=19110292473&pageNo=1&sid=1#6 The short version for those that can’t click on blizzard forum links…Edge is 219 and has been fixed, the tooltip, however, may not be at this time.